Cat Chow Sterilized 1,5 кг 459 р. Cat Chow Sterilized 15 кг 4399 р. 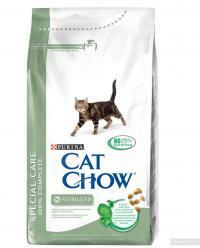 Cat Chow Sterilized 400 гр 130 р.